Below is an extract of the lecture given by Lee Smolin on 22 May 2013 for the Institute of Physics. Smolin challenges the notion of time in established naturalism. 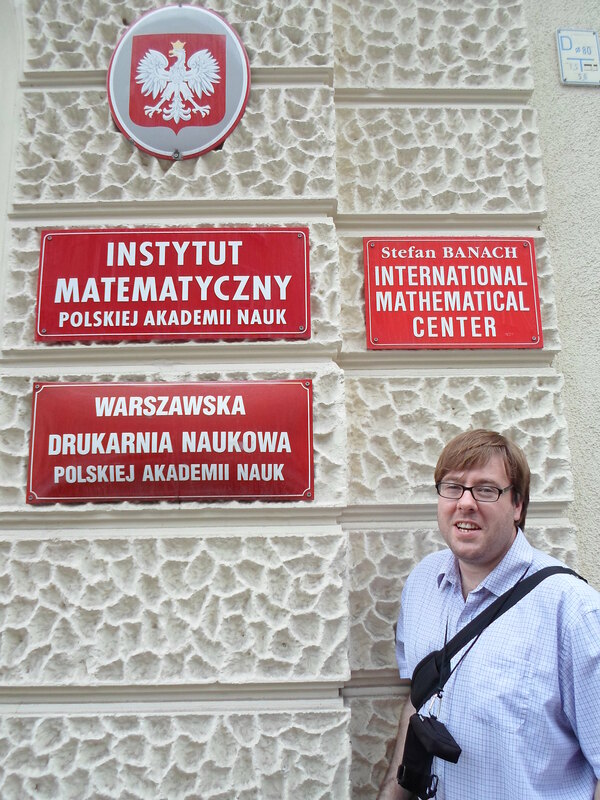 Just a few pictures about the Institute of Mathematics. Here I am outside the main door. All buildings with red signs like that are something official. This is the view from my office window. You can see the The Palace of Culture and Science (Pałac Kultury i Nauki). It is the tallest building in Poland and can be seen from almost everywhere in Warsaw. It was a gift from the Soviet Union to the people of Poland. 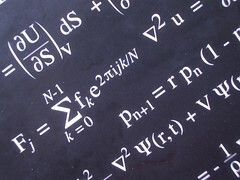 I am based in the Stefan Banach International Mathematical Center, which is part of IMPAN. So here I am having a discussion about mathematics with Banach. He is a great listener, but offered no resolution to my problem. I have compiled a (very) short list of some of the important Welsh scientists and mathematicians throughout history. They are in no particular order. Born 8 January 1823, Usk, Monmouthshire, Wales. Died 7 November 1913 (aged 90) Broadstone, Dorset, England. He independently conceived the theory of evolution through natural selection, which prompted Charles Darwin to publish his own ideas in On the Origin of Species. Born 4 January 1940 Cardiff, Wales. He is known as a pioneer of the theoretical undesrstanding of superconductivity. He was awarded 1/2 share of the 1973 Nobel Prize for Physics for “his theoretical predictions of the properties of a supercurrent through a tunnel barrier, in particular those phenomena which are generally known as the Josephson effects”. He proposed the use of the symbol π (the Greek letter pi) to represent the ratio of the circumference of a circle to its diameter. He introduced the “equals” sign (=) and also the “plus” sign(+) in 1557. A mathematician who has published in a diverse range of areas including topology, differential geometry, algebraic geometry, linear algebra and Morse theory. 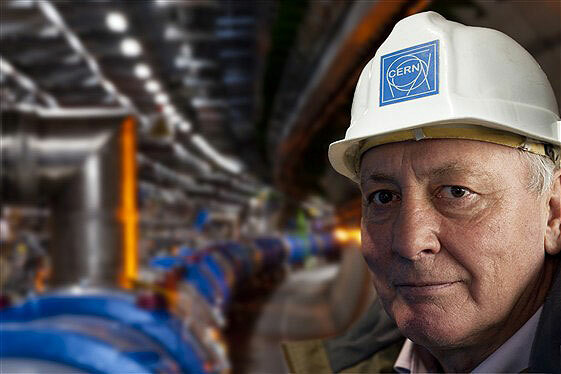 Project leader of CERN’s Large Hadron Collider. He co-authored, with A. N. Whitehead, Principia Mathematica, which was an attempt to set all mathematics on the basis of logic. John from wikipedia A study of 4000 abstracts of peer-reviewed papers published in the past 21 years that state a position on global has revealed an astonishing consensus; 97% of these endorsed the position that we are seeing anthropogenic global warming (AGW). Warning Science is not a democracy in the sense that if most scientists agree, then it must be correct. 66.4% of abstracts expressed no position on AGW. 0.3% were uncertain about the cause of global warming. http://animatedcliparts.net/ Hofstadter’s butterfly is a fractal pattern that describes the behavior of electrons in a magnetic field. Such a fractal was predicted by Douglas Hofstadter, which he described in 1976 . It is a very rare example of a fractal arising from quite fundamental physics. For the first time ever a teams from Columbia University, the University of Manchester and MIT have experimentally observed this pattern [2,3,4]. Douglas R. Hofstadter (1976). 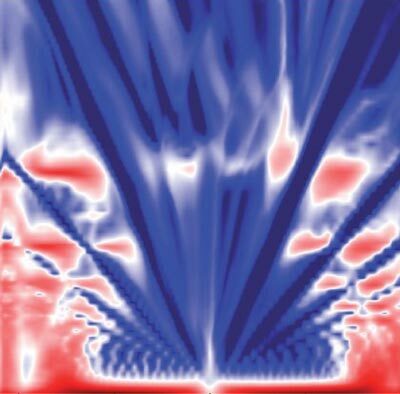 “Energy levels and wavefunctions of Bloch electrons in rational and irrational magnetic fields”. Physical Review B 14 (6): 2239–2249. Professor Moriarty of the University of Nottingham just loves heavy metal. In physicsfocus he explains that the quantum uncertainty is a byproduct of the inescapable fact that atoms have wave-like properties. Let me quickly define a G-torsor. Definition A G-torsor is a non-empty set X on which a group G acts freely and transitively. is an isomorphism of sets. Note that here we have picked the right action of G on X. Remark One can modify these definitions to include categories other than sets, for example topological groups and spaces or even Lie groups and spaces. Note that as we have an isomorphism, as sets, between X and G, they are equivalent objects. However, the subtlety is that there is no preferred identity point in X.
Ethos A G-torsor is a group that has lost its identity. Once you have picked an identity element in X, you get an isomorphism as groups between X and G. This means that X and G are isomorphic as groups, but not canonically, a choice is needed. So it seems at first glance that torsors are very abstract objects far too complicated to be of much use to anyone. That is, until you realise that you have been using torsors without knowing it. A good example of the use of a torsor is the potential difference in electromagnetism. When you measure a voltage, you in fact measure the difference of some voltage relative to some other fixed voltage. In practice one takes the ground to be zero, but this is a choice. Other values would work just as well. You can think of voltages as being elements of a torsor as there is no fixed identity voltage to measure against. Energy in classical physics is very similar. The energy of a specified isolated system only really makes sense when one has set the “zero point energy”. One can only really measure energy differences relative to the “zero point energy”. This is why one can arbitrarily shift energies without effecting the physics. Actually, this is important when looking at the notion of energy in quantum field theory, but that is another story. Anyway, energies can be viewed as being elements of a torsor, you have no fixed “zero point energy” to measure all other energies against. Physics is littered with similar examples. A counter example would be temperature. We have a zero point temperature, that is absolute zero fixed for us. Mathematics of course has lots of its own examples of torsors. Consider a vector space V we can take G to be the general linear group GL(V) and X to be the set of all ordered bases of V. The group G acts transitively on X since any basis can be transformed via G to any other basis. In essence, one can take a specified basis and transform it into any other basis. Thus, one can consider all other bases as transformed versions of the initial basis. However, there is no natural choice of this “identity frame”. The set of bases do not form a group, but rather a torsor. I will let the John Baez explain further here. A meteor was spotted traveling across the night sky by people across many parts of the UK including Cornwall, Hampshire, Lancashire, Worcestershire and South Wales. Particle physics meets underground art! The Institute of Physics has commissioned an artistic partnership between physicist Ben Still and artist Lyndall Phelps. A Victorian ice well beneath the London Canal Museum is to become a subterranean physics-inspired art installation this summer. London Canal Museum, image by Oxyman. Ben Still is a particle physicist based at Queen Mary, University London. He works on Super-Kamiokande, a neutrino detector which is part of the T2K experiment in Japan. I bought a new camera the other day and here are a few pictures of Staszic Palace. 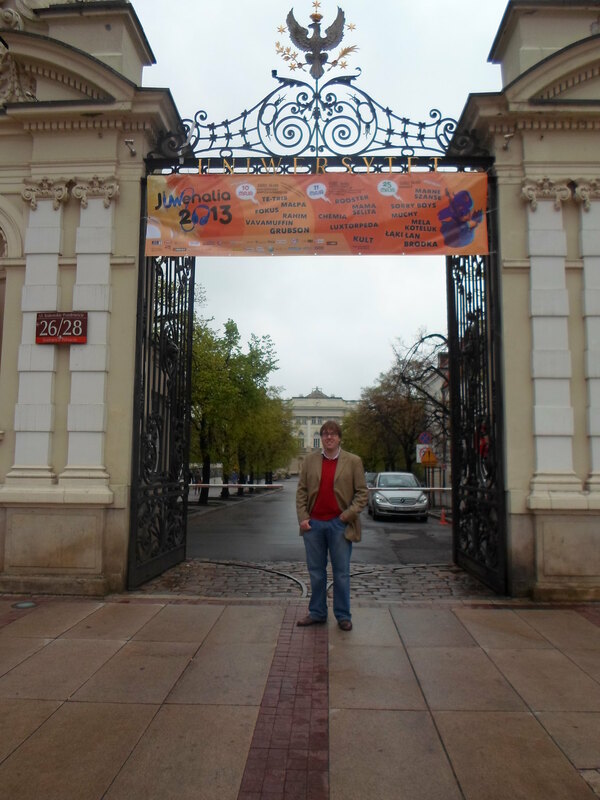 Outside the Staszic Palace, which seat the Polish Academy of Sciences. 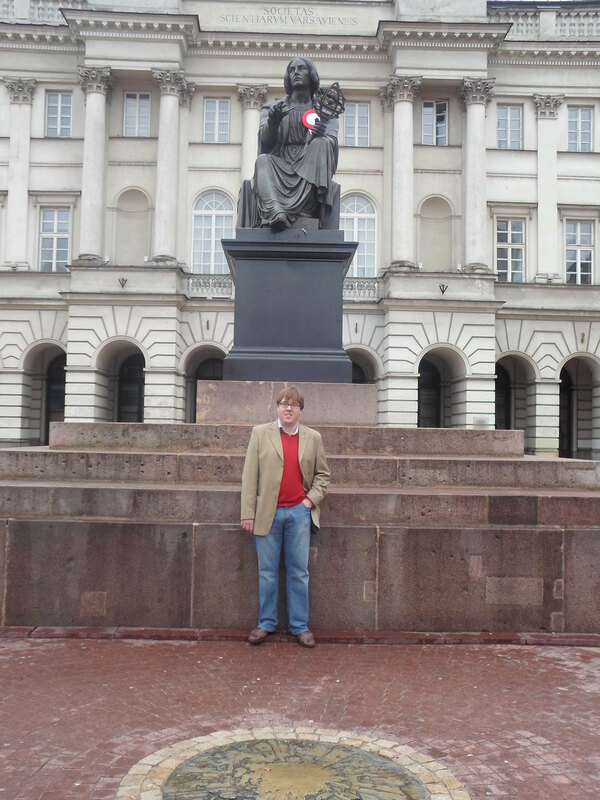 I am stood next to Bertel Thorvaldsen’s statue of Nicolaus Copernicus. 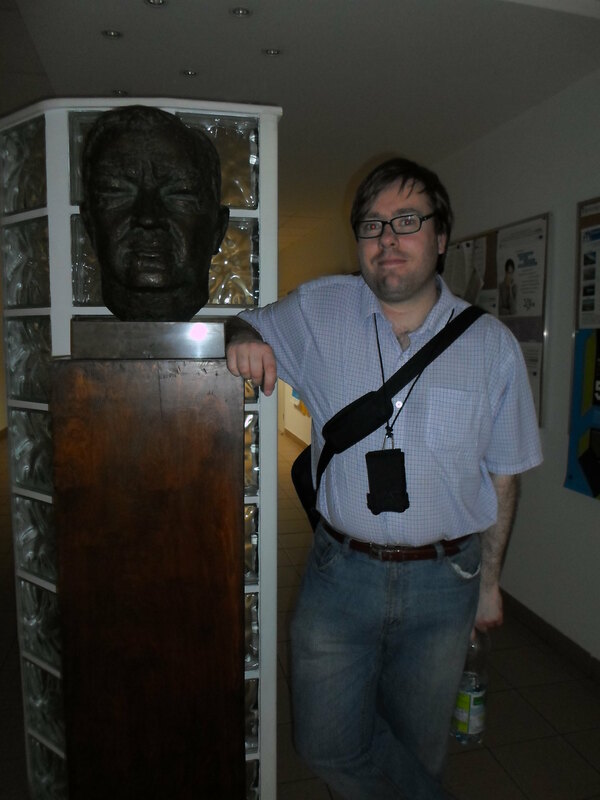 Now we have a closer picture of me next to Nicolaus Copernicus. 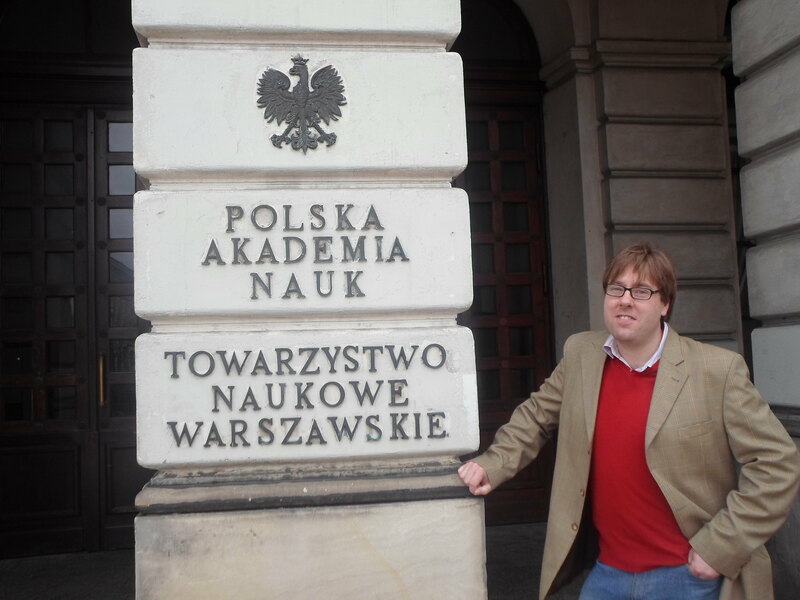 As you can see, Staszic Palace also houses the Warsaw Society of Friends of Learning. 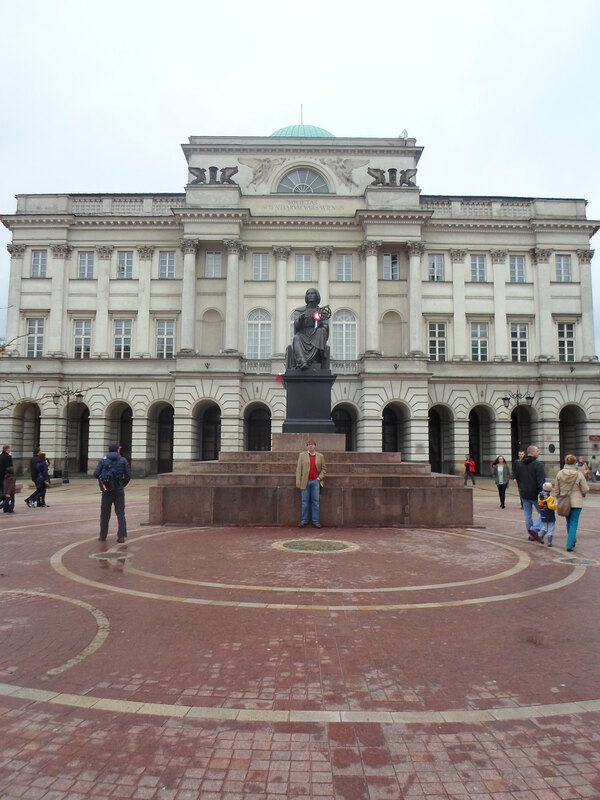 Just a short walk down the road from Staszic Palace is the University of Warsaw. 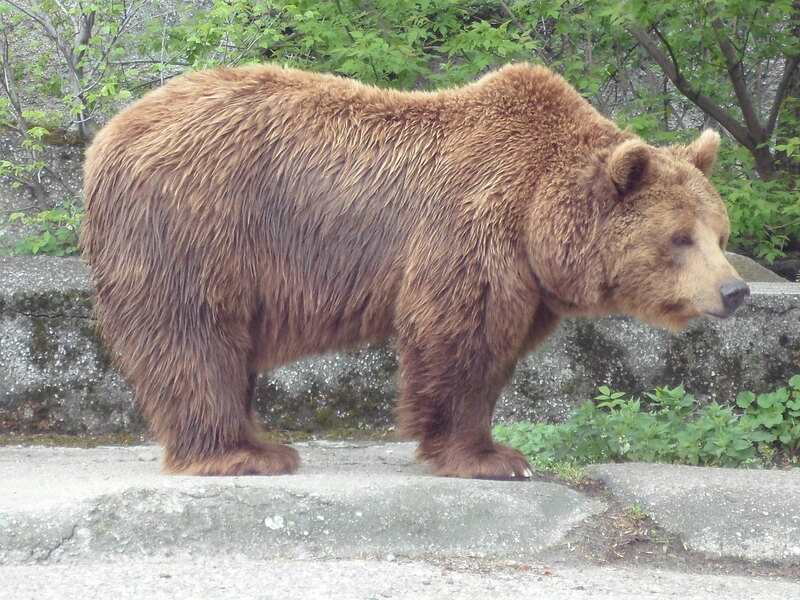 If you visit Warsaw please take care with the wildlife… not really, this is one of the bears at Warsaw Zoo that are housed just outside the main zoo. You can see them from the street in Praga.